Home » Janissaries Ottoman Empire. Janissaries Ottoman Empire. Turkish Elite Infantry. The Janissaries were the Infantry of the Ottoman Empire. Created in 1330, this military force was directly responsible to the sultan. As soldiers strict boys selection was made. The recruits came mainly from Serbia and Bosnia. 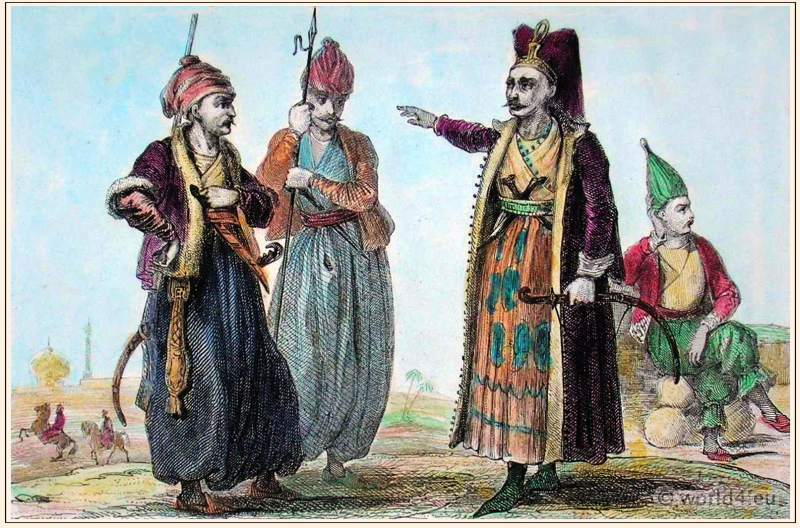 For education and training to Janissaries, they were brought to the Ottoman Empire and strictly trained for elite soldiers. Title: Janissaires (Yeni-tcheri). Published: L’Univers Pittoresque, Paris 1838. The costume of Turkey. Ottoman Empire. 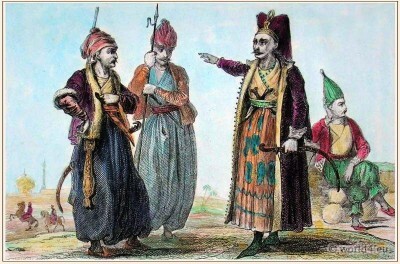 Officials and ethnic groups. This entry was posted in 1840, 19th Century, Military, Ottoman Empire and tagged Turkish Military Costume on 4/30/13 by world4.